In Ireland, the term precious can often mean coveting or negatively desiring and hiding. For example, "My Mom didn't let me have taytos when I was young, so I got precious about it when I could have them as an adult. " Basically, you cling to it and try to keep it all to yourself like a spoiled child. I guess it's not that different than what it means in the US, being of high value, dear or beloved, but the context is different. Why am I telling you this? I noticed that I do that with my Ireland trips, haha. Literally all of them. Don't believe me? Click through the Ireland tag and see how little I have written about on of my favorite and most visited countries. There are some pictures, sure but nothing that reflects the thousands of miles I've driven there. I think this is because of the sacred affinity I feel to Ireland. Part of me wants to share it and part of me wants to keep all these awesome out of the way finds secret. It's silly, but it's a very backpacker-y thing to do in an age when sites are overrun due to publicity and and every blogger has a best of hack list to each country. So I am going to work on this through the next few posts because I love it there and in the future I hope to be leading some trips there so more of you can fall in love with it! 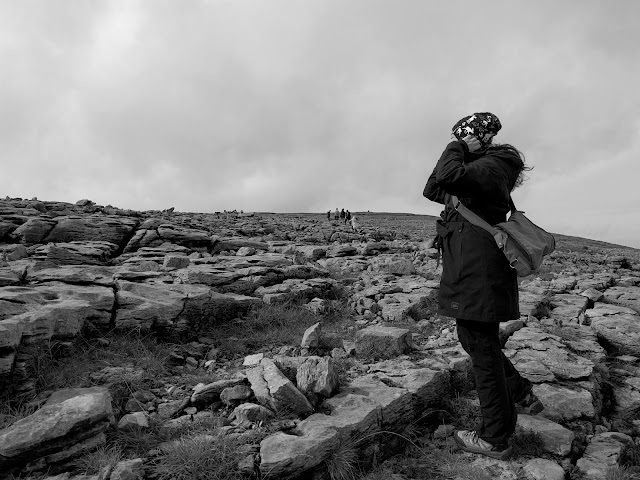 Hi Sawrah, I like how your recent post provides a bit of transparency, giving insight into your precious Ireland adventures, and your Burren pic conveys an incredible expansiveness. Thanks Pete! I am always dancing the line between what to share and what to keep personal. I appreciate the feedback. Thanks for reading!